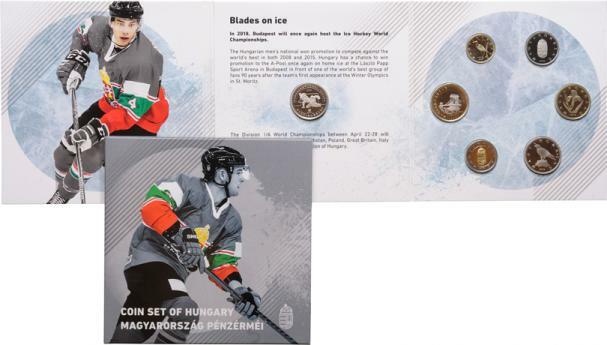 The 'A' category of the Ice Hockey World Championships were held in Budapest in April. The National Bank issued a new 50 Forint coin on on April 1 in commemoration of the event. Only 3,000 proof versions of the coin were made and they are only available in a 2018 proof set along with the six regular circulation coins.